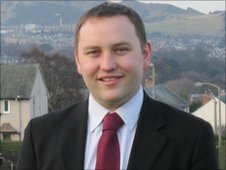 Ian Murray MP, Labour’s Shadow Minister for Trade & Investment, sets out why he has today published the Job Creation (Scotland) Bill in the House of Commons. As MP for Edinburgh South I deal with a wide range of issues in my constituency, but the most common concerns people raise with me involve unemployment, skills and benefits. The combination of changes in benefit provision with the ever increasing numbers of people employed on zero-hour contracts has contributed to a cost of living crisis which faces people in Scotland and across the UK. While any fall in unemployment is welcome, the reality is that too many young people can’t take their first step into the jobs market. It’s becoming increasingly hard for our young people leaving school, college or university to find permanent and secure work. And we cannot afford to write off a generation of talented young people as happened in the 1980s. I’ve heard directly from young people in South Edinburgh that they feel they lack the appropriate interview techniques and CV skills to progress into employment or just to have opportunities presented to them. That’s why I’ve organised the Edinburgh Jobs and Skills Fair. Taking place on the 6th February between 11am and 4pm at the St Augustine Church on George IV Bridge, and with participation from organisations such as Edinburgh College, Edinburgh Council, the Prince’s Trust, Skills Development Scotland and more, this all-day event will provide structured advice and information to prepare attendees for the world of work. But these local issues in Edinburgh reflect a national problem across Scotland. The Work Programme, the solution offered by David Cameron and the Tories, is failing Scotland. Only 21% of people on the Work Programme in Scotland moved into employment upon completion. In Dundee this percentage falls to 15.8%. In fact, every region in Scotland has a lower success rate than any region of England. Their failure demands action. The Jobs Creation (Scotland) Bill that I am bringing forward in the House of Commons calls, as the cross party Smith Agreement recommended, for the immediate devolution of job creating powers to Scotland. The Tories are failing Scottish people, and it is imperative that the powers of job creation come into Scotland’s hands as soon as possible. That’s why this Labour bill will support the immediate devolution of the work programme, and I will put this to a vote in the House of Commons next month. Campaigning organisations, charities, and the leaders of Scotland’s three largest cities have all said these powers should come to Scotland now. The Tories should accept responsibility, recognise their failure, and bring this legislation forward now. If not, we will force a vote next month. The bill will also go much further. It will not only devolve the Work Programme to Scotland but demand that it be further devolved from the Scottish Parliament to local councils who are best placed to determine the needs of local job markets and match those needs to their population. Interesting use of political rhetoric. 1. The Work Programme has now met or surpassed any previous government support scheme such as New Deal at one third of the cost of those previous schemes, why is the Work Programme failing? 2. The only jobs that Governments create are civil service jobs, so why are you claiming that the Work Programme or any alternative are job creating? 3. The Work Programme contracts have all been extended to March 2017, what exactly will your bill do before the contracts run out? (and bear in mind that their legacy costs through outcomes last up to 2021). 4. There is nothing that your jobs fair is doing that services such as Skills Development Scotland, JobCentre Plus and the Work Programme isn’t doing already. Will you be evaluating the cost and benefit of your intervention? 5. Are you aware of just how much money local government puts into employability schemes with very low levels of return? Check out the Cambridge Policy Consultants report to the Scottish Employability Forum: it should scare you! Why dont you just admit that you are using the long term unemployed as means to raising your own poor political profile. Yes, there are problems with the likes of the Work Programme design, namely the draconian benefits regime which DWP applies but which has little to do with the contract providers who have performed better than anyone expected, at huge benefit to the public purse and to sustainable employment. And if you dont believe me, ask John McTernan. WP started as a James Purnell/New Labour idea, adopted by the Tories and according to Mr McTernan is a great example of how to get the country back to work.